Major League Baseball just released a video in stores "Latin Superstars" about the passion of baseball throughout much of Latin America. 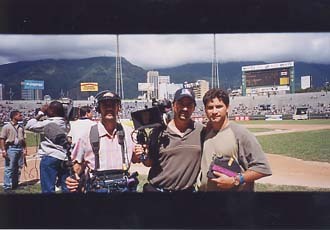 This one hour Documentary shot mostly on Supper 16mm Film was recently nominated for a national Emmy Award in the Sports catagory. 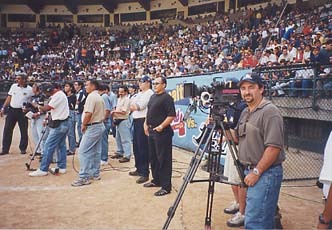 Major League Baseball asked Sunrise Video to get involved in the project because of there knowledge of Latin America and there past performance for Major League Baseball Productions. 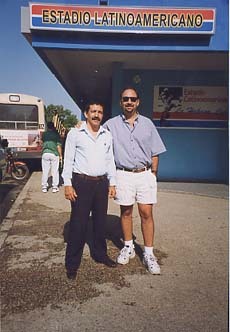 The Film team led by Director of Photography Joe LoMonaco traveled to Cuba,Panama,Venezuela and Puerto Rico for this production. 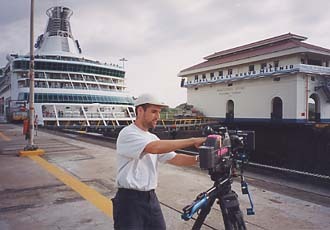 The Film part was shot with a Arri SR3 s16mm Film camera and the video portion was shot with an Ikigami HL-V59 camera. © 2001 Sunrise Video Productions. All Rights Reserved.